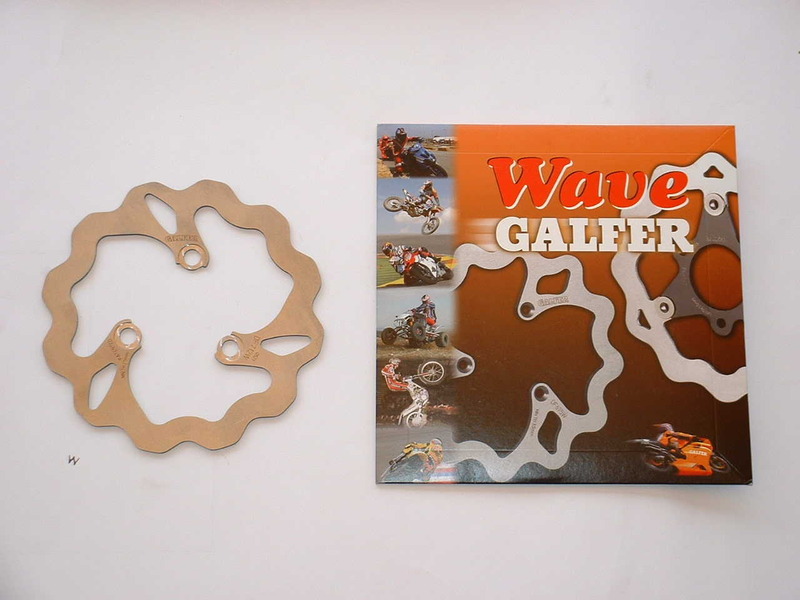 Made from Stainless Steel with high carbon content, the Galfer range of wavy discs are the market leader. Lower weight compared to standard style disc. More braking power as well as the self cleaning effect from the design. Better heat dissipation resulting in a lower working temperature. Less tendency to warp and excellent resistance to corrosion. They are a direct replacement so no need to modify your existing hubs.